Open Invitation To All SANPO Members. 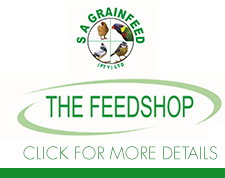 This is an open invitation to all Pigeon Clubs, federations, Combines and Unions to partake in the first SANPO endorsed Annual National pigeon Race to take place from Prieska in the Northern Cape on the 25TH August 2018. We as SANPO ask for the support from all its members to support this National pigeon race. We would like to make this an annual event on your racing calendar for all organizations in South Africa. With your support in making this race part of your race programme it will streamline the logistics of getting all the different regions pigeons to the race point. All transporters to arrive in Prieska from 15: 00 on the afternoon of the 24th to enable feeding and watering of the pigeons that were not fed on route. The reason for this is that if it is a very hot day the transporters do not have to stand in the sun for most of the day and can travel in the heat of the day and in so doing will keep the birds cooler. Water will be provided at the liberation site with the aid of a water tanker. There will be stand by help for any trucks that might have trouble in starting on the Saturday morning and any that may get stuck. SANPO management will be at the liberation site from Friday to assist the transporters and to oversee the liberation. A safe area will be made available for the trucks to overnight with security. Liberation will take place 15 Minutes after sunrise on the 25TH August 2018, and only when all other weather checks have been done and found to be in order will the liberation take place. 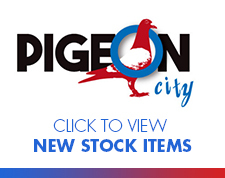 A race entry fee of R5.00 per pigeon will be charged. All pigeons on the transporters must be paid for. Entry fees will be paid at club level and clubs will pay over to their unions. Unions will check to see that it is correct and the unions will pay the entry fee to SANPO. Race entry fee will be used as follows, 10 % to SANPO, paying for security and other costs, printing of certificates and working out of the results on a national level. The balance to be used as prize money and will be split up per Zone, Sub Zone and national level. The Country will be split into 3 zones. Southern Zone: Clanwilliam to Port Elizabeth. Central Zone: North East of Port Elizabeth to Richards Bay. Northern Zone: North East of Richards Bay to Polokwane. In each zone there will be three sub zones Zone A – 000 to 400 km, Zone B – 400 to 800 km and Zone C – 800km and above. The above zones will only be confirmed when we know which unions will be supporting the National race as we would like to get results from complete Unions. This will help in creating the National result. Please take the time to look at the map below as an indication as to how the zones and sub zones will work. There will be 1st, 2nd, 3rd prize certificates per sub zone and 1st, 2nd, 3rd prize certificates per Zone as well as 1st, 2nd and 3rd prize National Certificates. The prize money will be split up as per the zones and sub zones and on a National base. All unions, Federations, Combines and Clubs that are wanting to take part in this race will you please complete the race entry form and mail it to the SANPO Secretary Johan Pretorius ( jp.pigeons@gmail.com).For those organizations That are wanting to compete please inform the SANPO secretary ASAP and the fully completed entry can be mailed on the night of basketing. In closing if you have any questions please feel free to ask. You can contact me, Peter Armstrong on 083 452 4243 or email peterpigeon@vodamail.co.za or any of the SANPO council members in you region. Please pass this invitation on to as many of your club members as you can so that the message can be spread around as much as possible. With this race we as pigeon fanciers can be on the same level as overseas pigeon fanciers where we can also have a national winner. Contact Number of Coordinator: ……………. Contact Number of Driver: …………………….